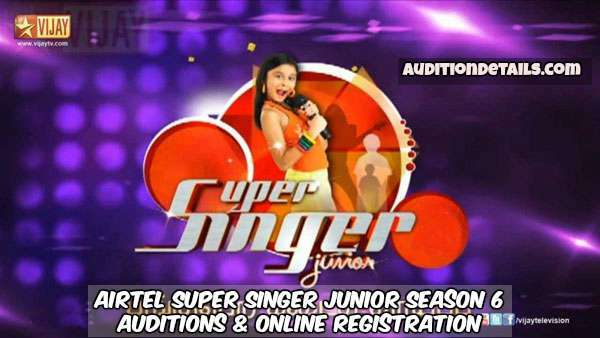 One of the most famous Tamil singing reality shows for kids in Star Vijay TV, Airtel Super Singer Junior is back with its 6th season. This show will surely recreate the magic which its previous seasons had created. Like previous years, this year too, the show will keep on searching for the best voice in Tamil Nadu. 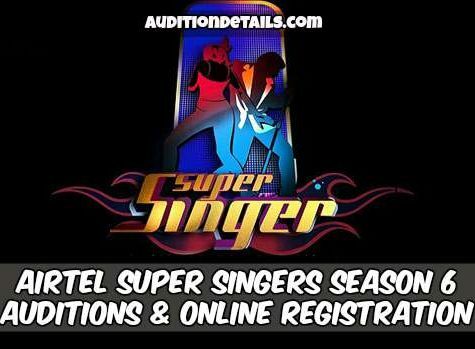 The auditions for Airtel Super Singer Junior Season 6 will start very soon all across the state. All magical voices of the state are cordially invited to take part in the show. 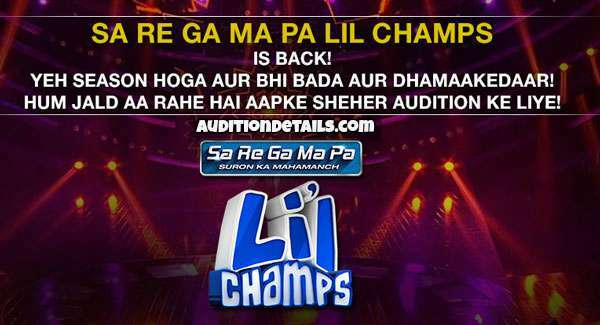 The first audition for the show will be done at Coimbatore. The only focus of the show is to bring out the best kids talent in Tamil Nadu. During the auditions, all the participants have to sing songs in Tamil language only. As always, the show will be telecasted on Star Vijay TV. The exact date for the audition is not announced yet but we will update it as soon as it gets released on the official website. The dates are not announced yet but like previous seasons, the auditions will be held at Coimbatore, Trichy, and Chennai. The candidates who like to participate have to create a music video of themselves and send the CD to Executive Producer, Vijay TV. P.O. Box No: 8484, Chennai. 600 034, or they can WhatsApp the video to 9840300977. If the officials like the video, they will call you to the auditions. This famous show is hosted by some very talented persons, Priyanka Deshpande, Bhavna, and Makapa Anand. The judges of the show are Unnikrishnan, Shrinivas, Mano, and Usha Uthup. Voice trainer, Ananth Vaidyanathan is also seen a lot in the show helping the contestants. Some of the highly talented music directors and singers were seen as special guest performers or special guest judges in the show like Vani Jairam, P. Susheela, Vairamuthu, S.P. Balasubramaniam, Nithyasree Mahadevan, S. P. Sailaja, Sikkil Gurucharan, Sudha Raghunathan, Sowmya, Pushpavanam Kuppuswamy, Gana Bala, T. L. Maharajen, Chinnaponnu, Velmurugan, K.S. Chitra, Vijya Prakash, and Malgudi Shubha. For taking part in the show, the age of the candidate must be below 16 years. The candidate has to carry some documents at the time of audition like 1 government approved identity card (pan card or aadhaar card) for the proof of age and 2 recent passport size photograph of the candidate.